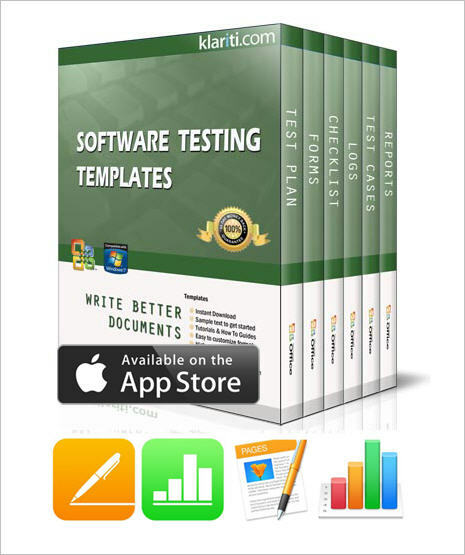 This Software Testing Template pack includes 50 forms, checklists, and documents (iWork Pages) and 27 spreadsheets (iWork Numbers). 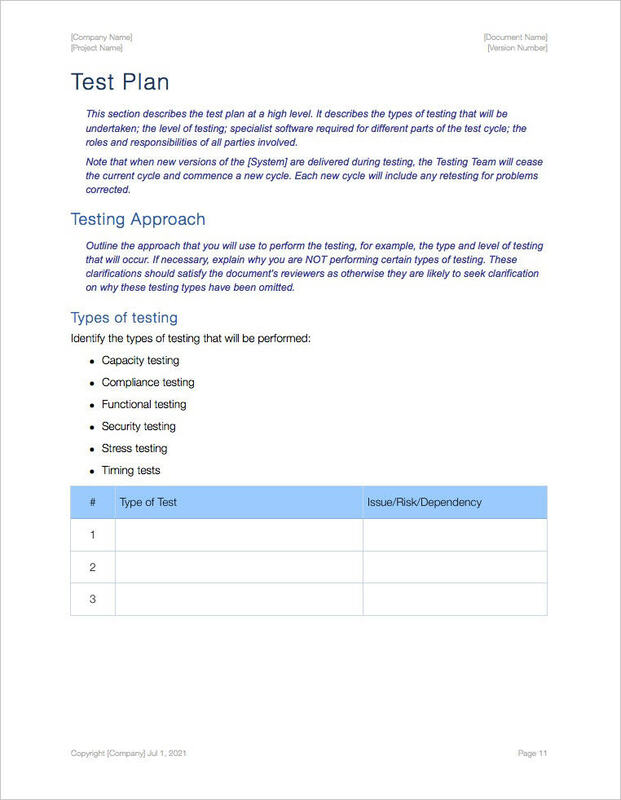 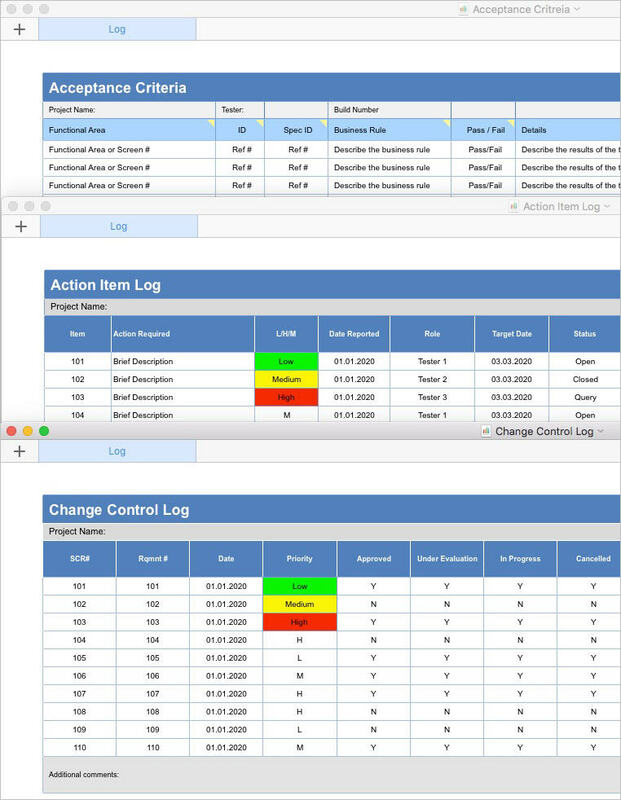 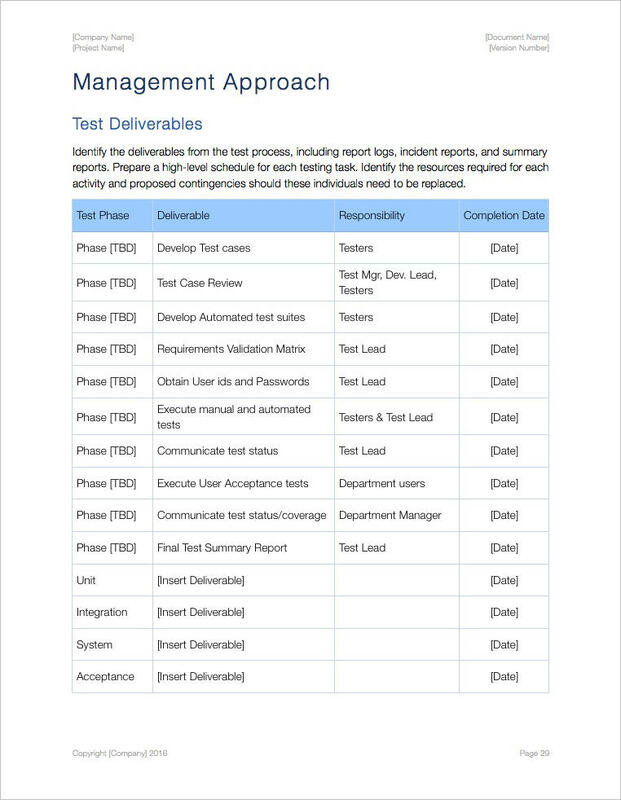 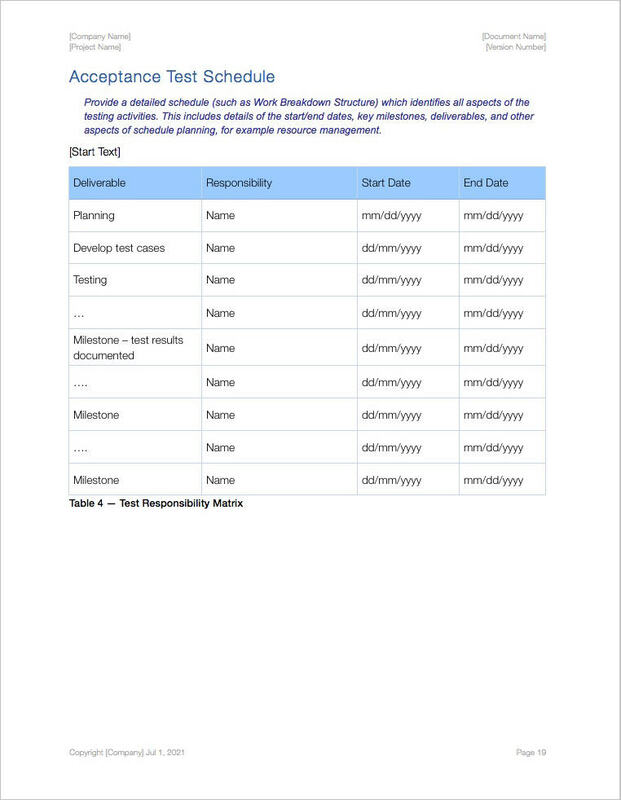 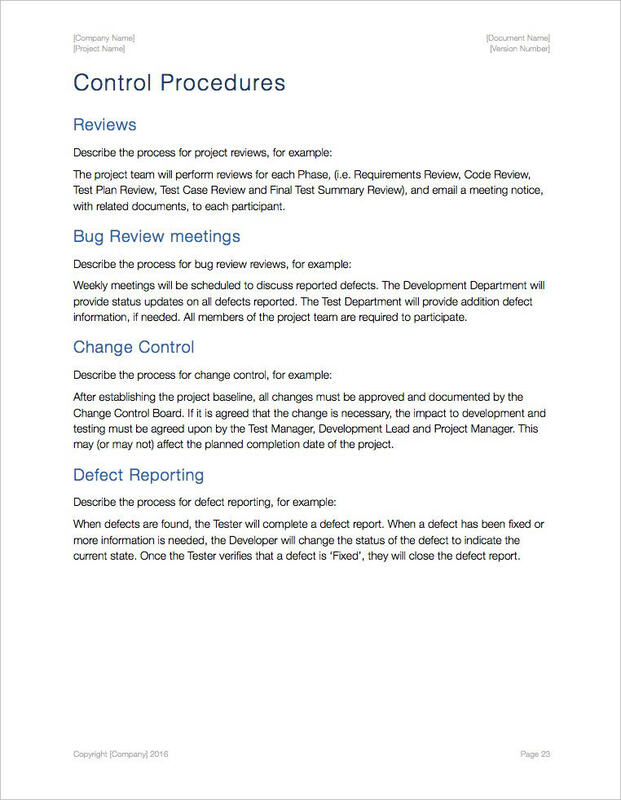 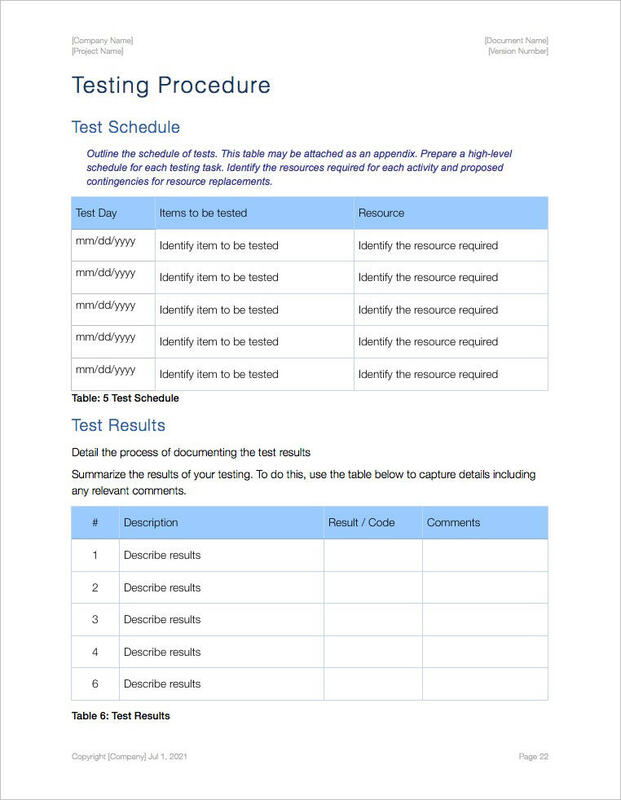 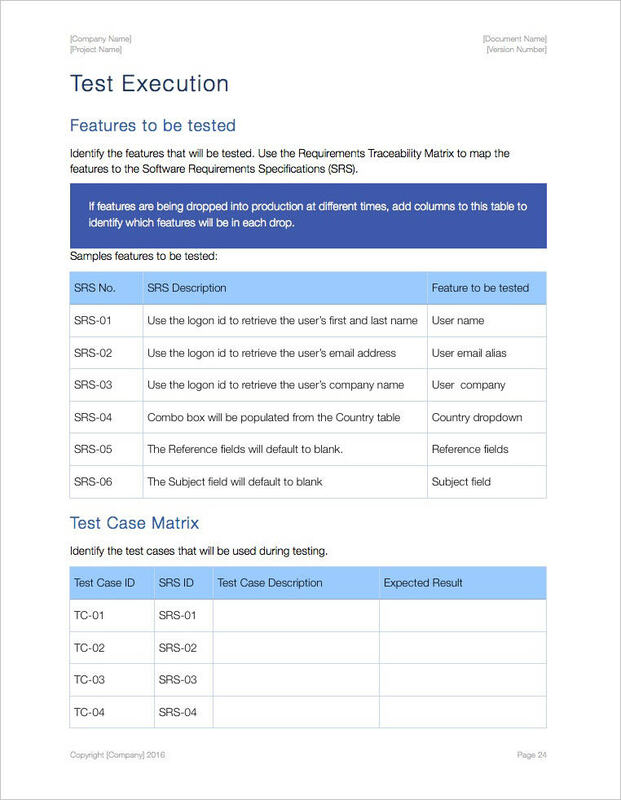 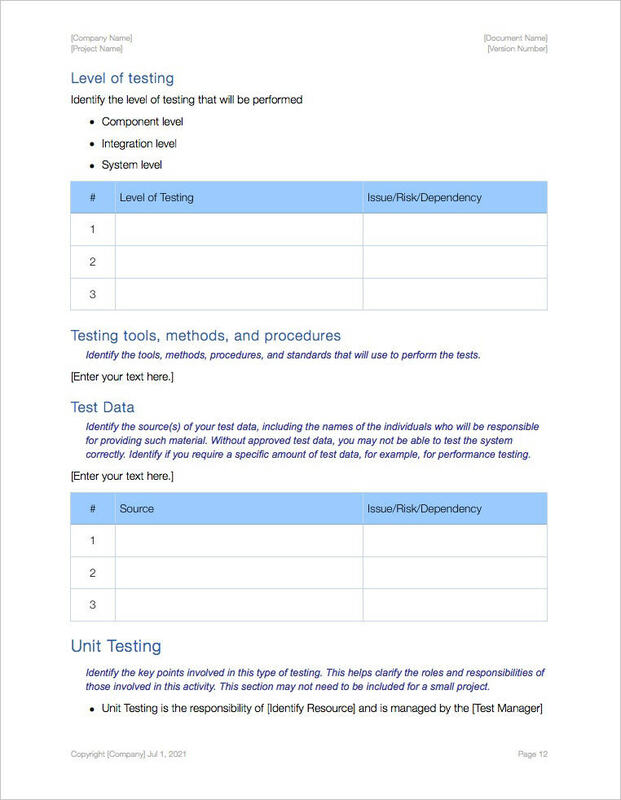 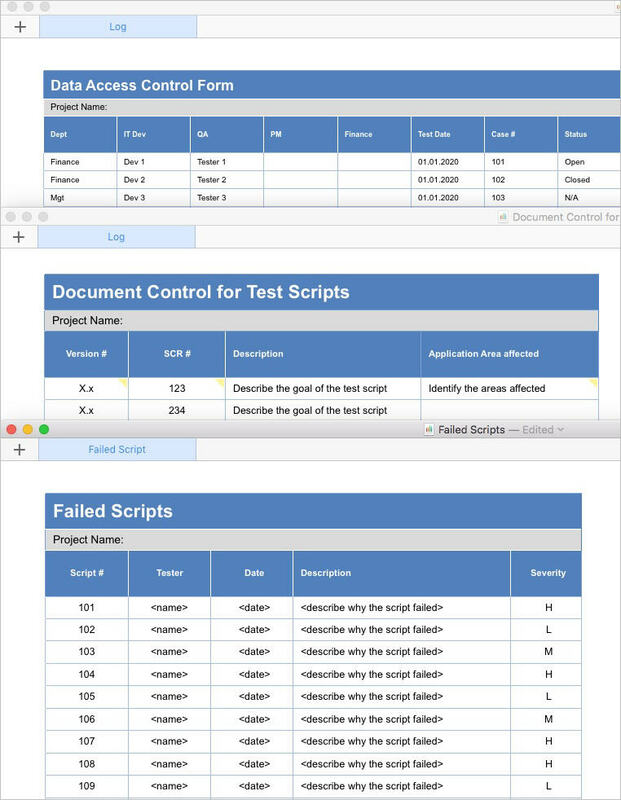 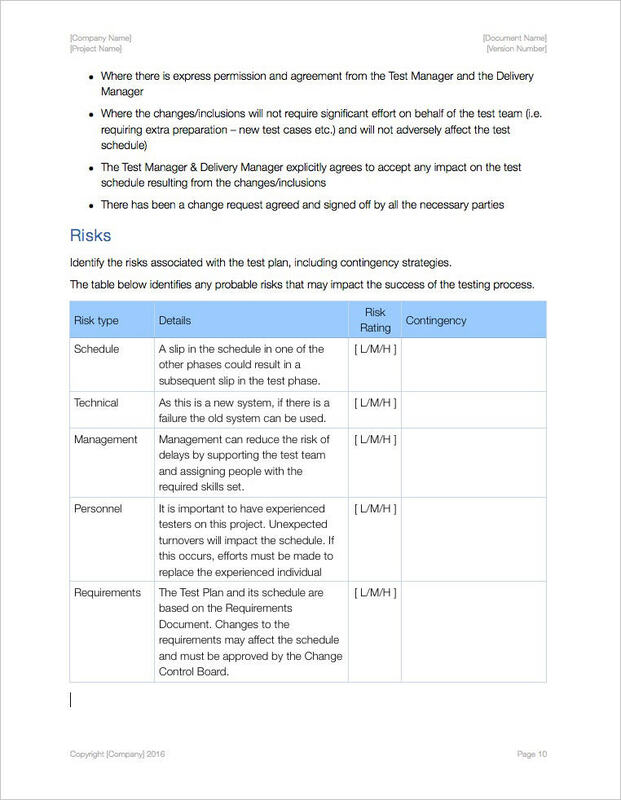 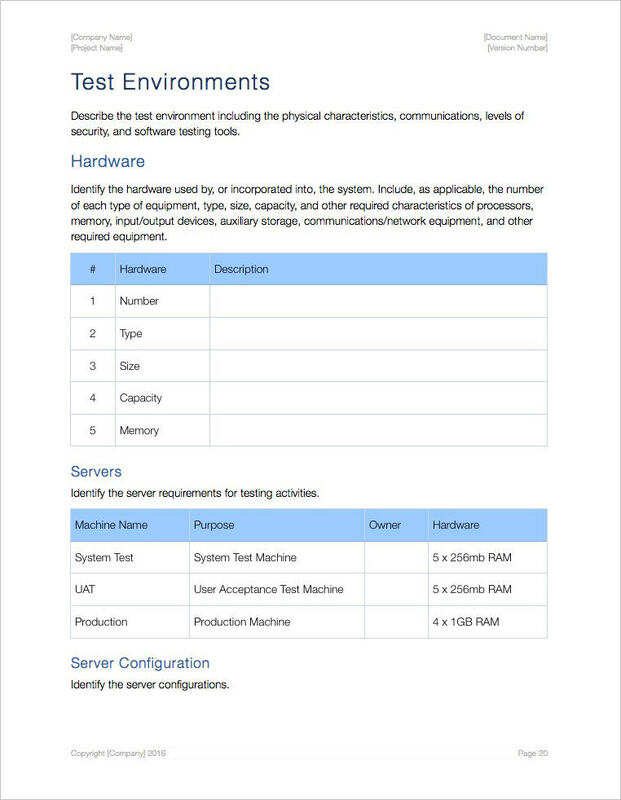 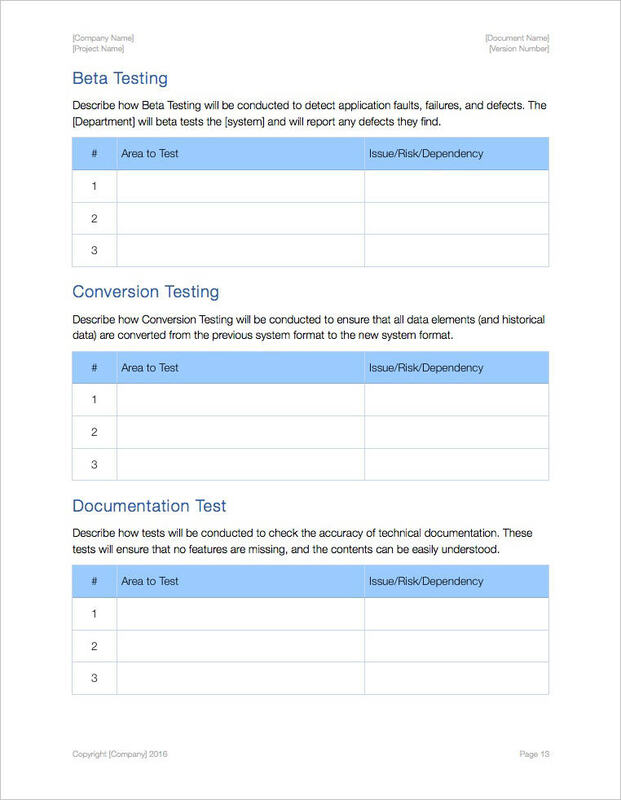 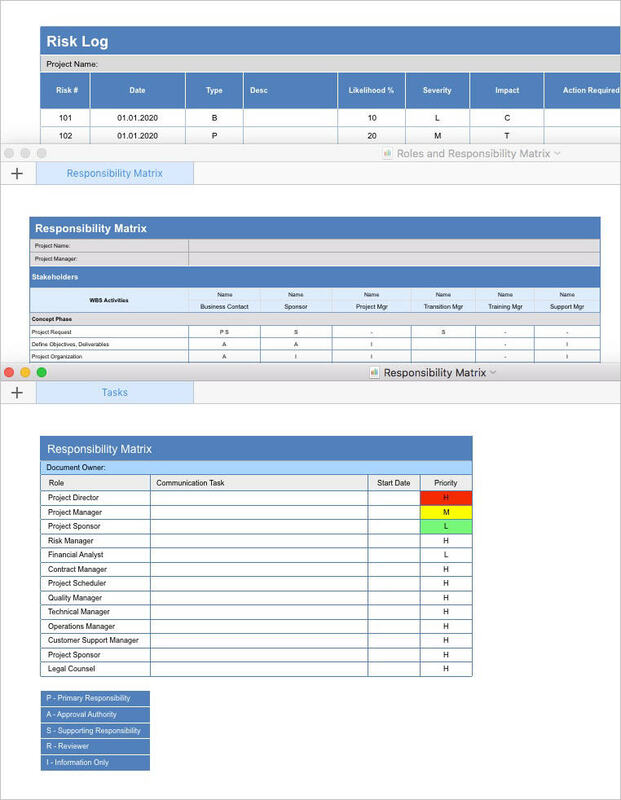 You can use these templates to save time when creating test forms, logs and checklists so your Test Department has a standardized approach to testing. 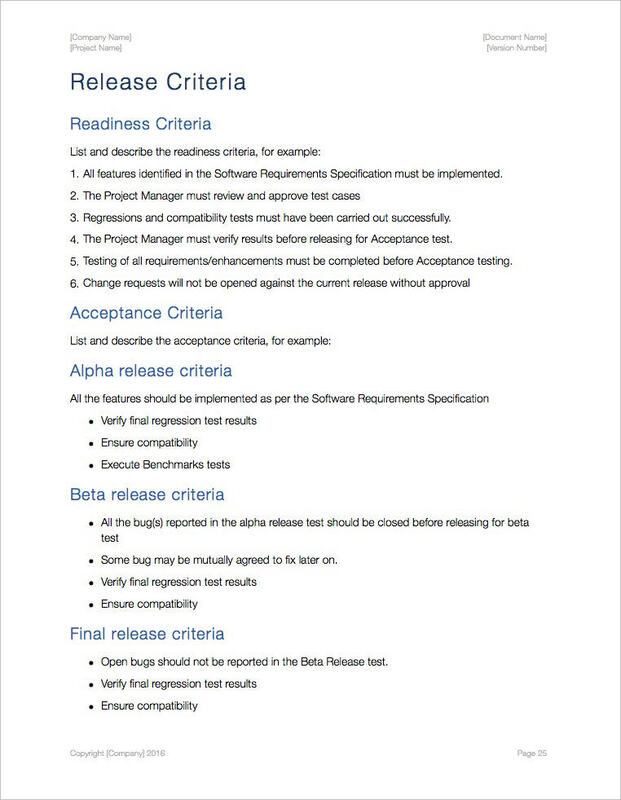 77 Checklists, Forms and Templates including Action Items, Change Control, Change Requests, Contract Review, Data Access, Enhancement Request, Error Log, Final Release, Test Environment, Installation Completion, Issue Log, Outsourced Project, Quality Log, Risk Log, Status Report, Test Case, Test Plan, Test Record, Test Script, Unit Test Plan, User Acceptance Test Plan, User Interface Checklist, Web Usability Test Report. 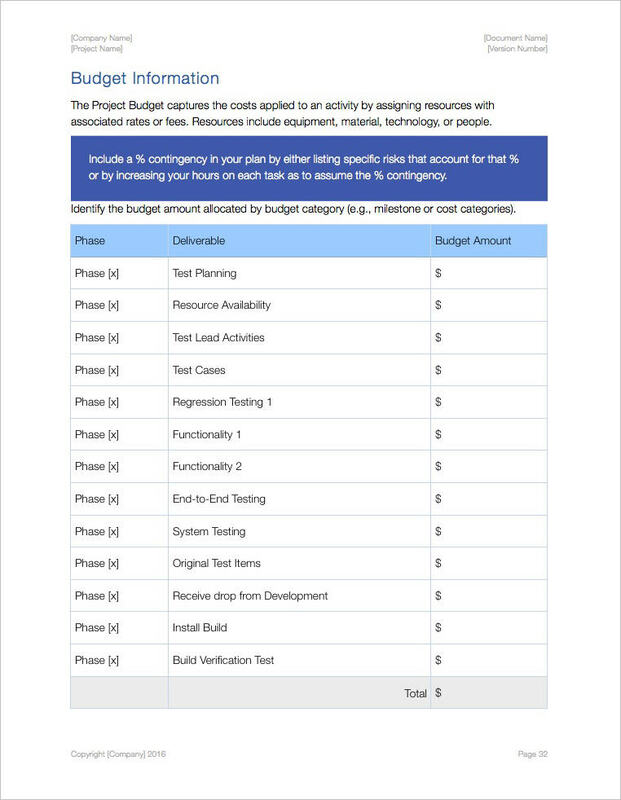 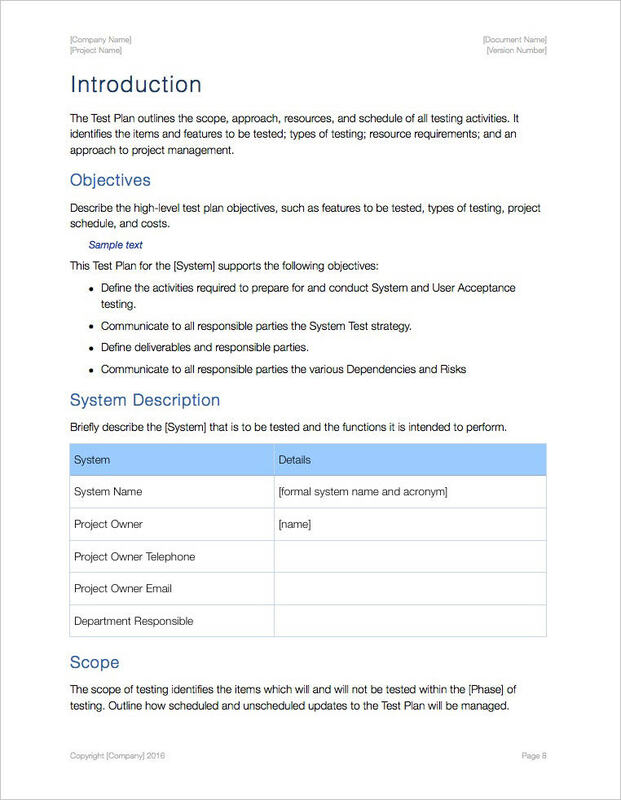 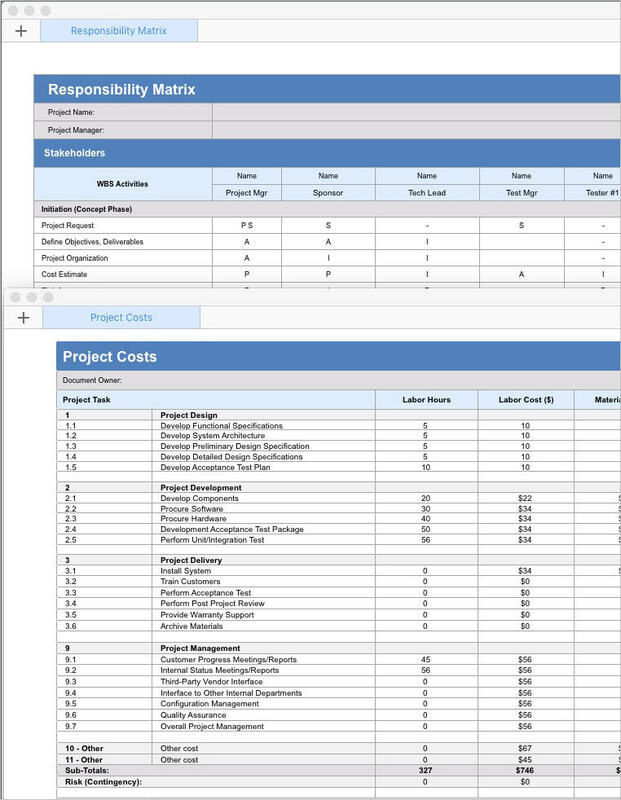 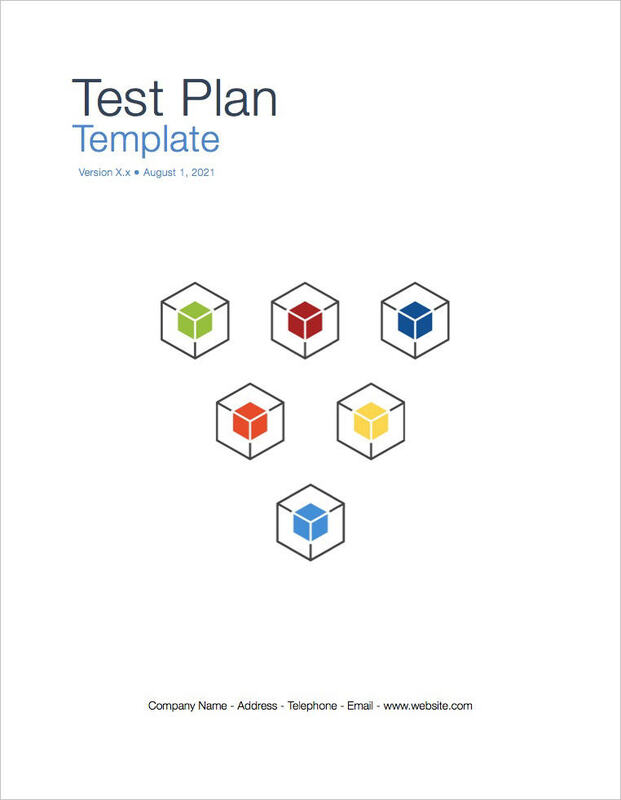 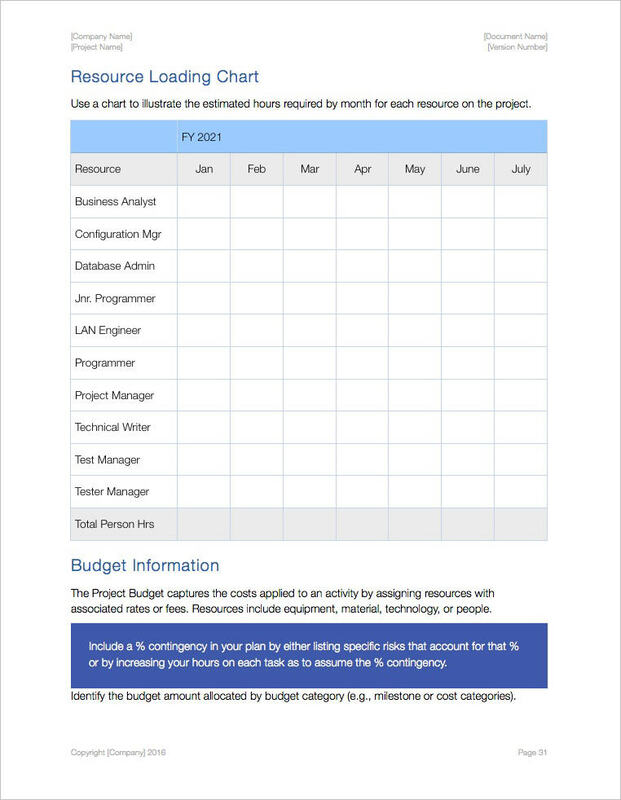 Test Plan Template (29 pages) defines the scope, strategy, environment, controls, execution, release criteria, and budgets. 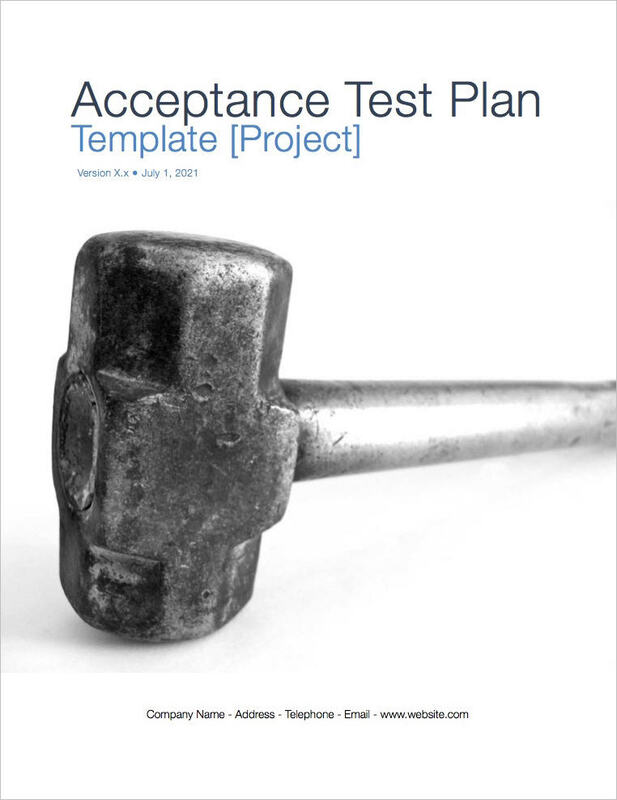 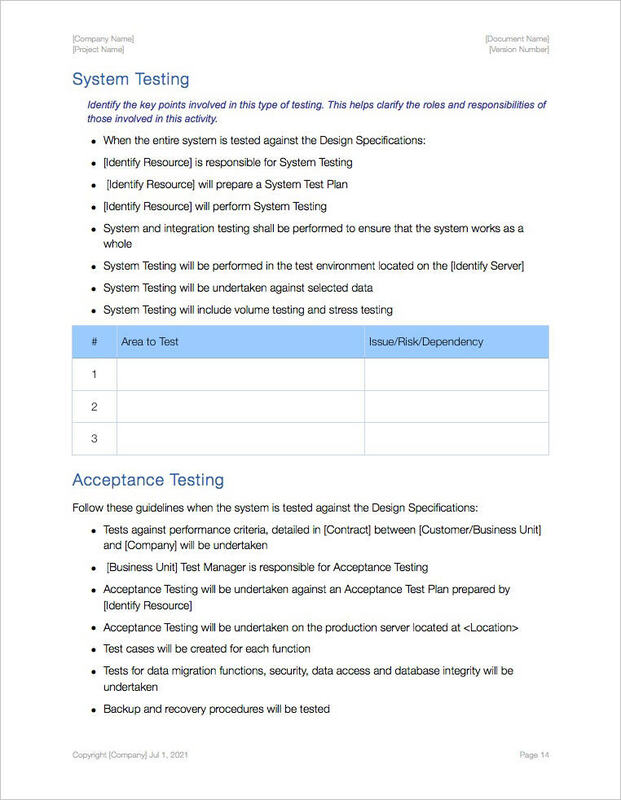 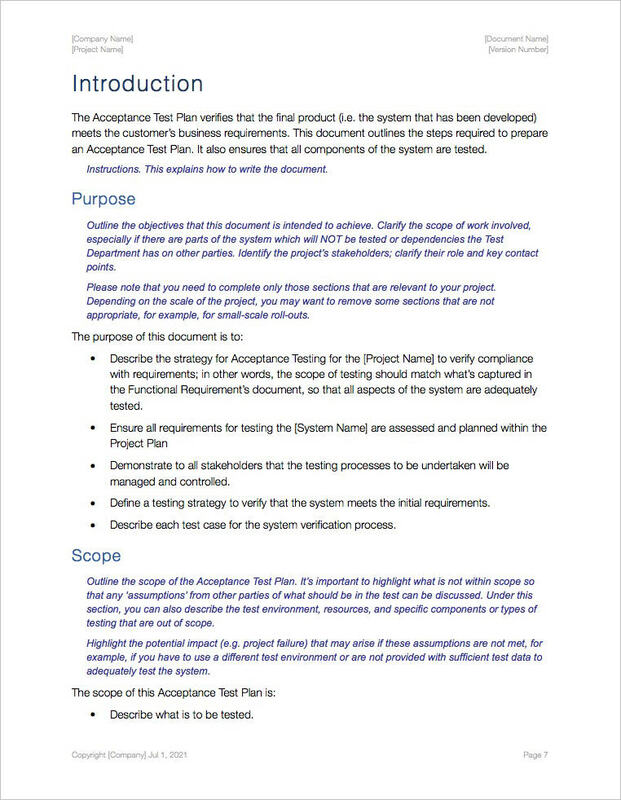 User Acceptance Test Plan (15 pages) gains customer acceptance and verifies that deliverable meets requirements.